Before giving birth to any of my four children, I was always fascinated and curious about the entire process. I would try to fathom the pain, the excitement, the exhaustion, the thrill and the love. I would ponder if I would be able to deliver my kids vaginally, or would I require a Caesarean section? I would drill my own mother, (also a mother of four), who had all four of her kids vaginally, three of them unmedicated. What did contractions feel like? How do you really know when you are in labour? Would I need an epidural? Would my deliveries be long and drawn out, or quick and dramatic? Or, would I be heading an entirely different route? Something that my own mother couldn’t prep me for and answer my hundreds of questions. Would I need major surgery to deliver my baby? It just so happens that I got to experience both. But unlike many other mothers’ experiences, each of my deliveries were (thankfully) very textbook, uneventful births. Well, other than the fact that I had twins. But even their delivery was as best case scenario as it comes. 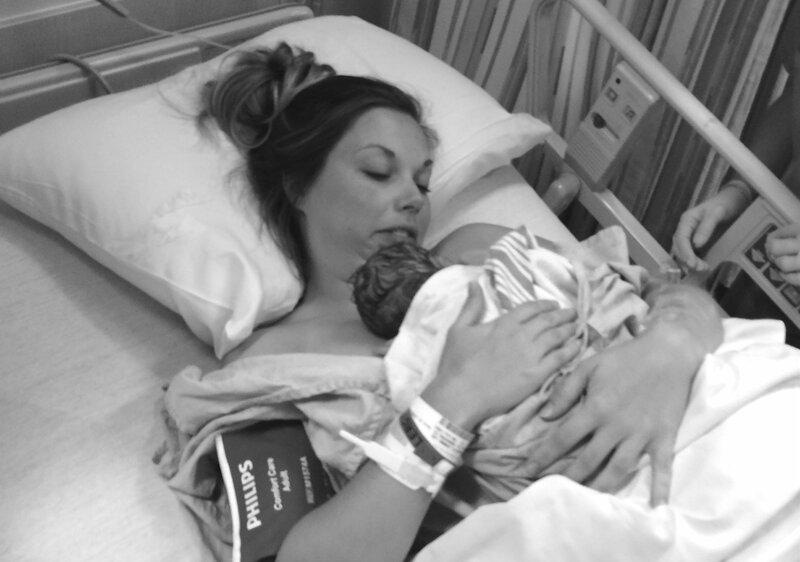 Vaginal Birth: With each of my two babies that I delivered vaginally, I was full of anticipation, anxiety and wondering if every minute could be the moment I went into active labor. With my first, I took a parenting class, but failed to really prepare myself for the actual labor. With my second, I hired a doula and had her coach me on how to deal with the pain, which made a huge difference. 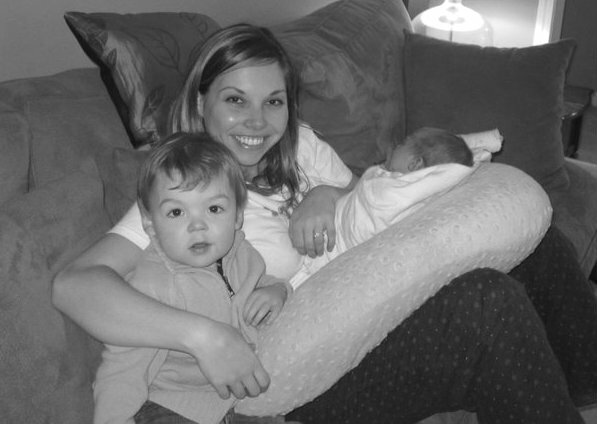 My bags were packed weeks before giving birth, and even though I went into labor at 39 weeks for each of them, I was very impatient and it felt like I had been pregnant for 40 + weeks. Each of them moved into a head-down position fairly early on, so I knew I would be having them vaginally, as long as everything went as planned. 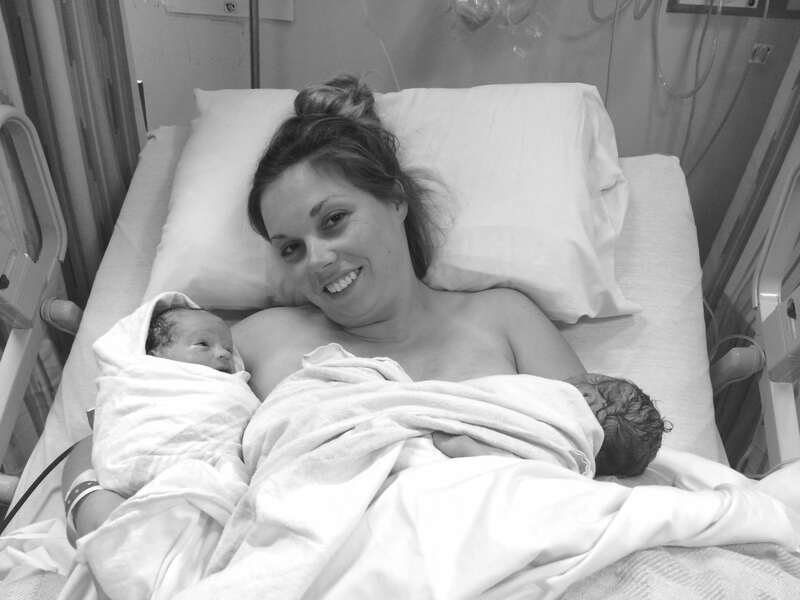 Caesarean section: Although I had really wanted to deliver my twins vaginally as well, baby A decided to plug the exit with her bum, while baby B settled herself so high inside my ribs, that my OB was a little nervous about getting her our even via C section. Once I knew that I was headed for a C section, I made the decision to really accept this, and prepare myself as much as possible. I asked my friends and family about their experiences and had them each walk me through explicit detail as to what to expect. Leading up to my C section, I was surprisingly calm. I just wanted my babies to arrive safely. 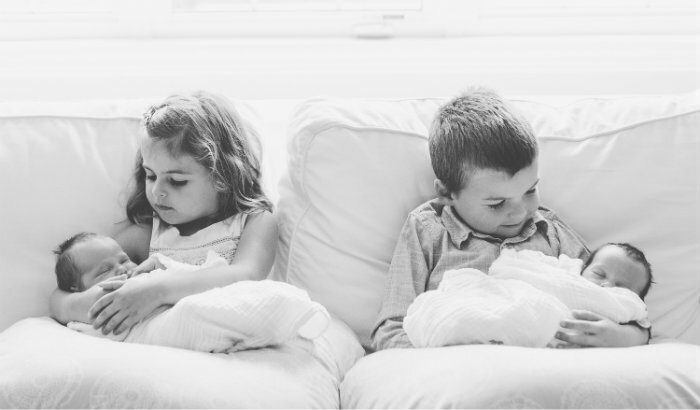 I was able to plan everything I needed in advance, including babysitters for my older kids, which really relaxed me. Vaginal birth: Although each of my vaginal deliveries were almost identical experiences, the way my labor started was very different with each. With my first, I started into early labor weeks before I actually delivered my son, with back pain and dialation. I lost my mucus plug a week before I went into active labor and I didn’t start having contractions until 20 minutes after my water broke, no I should say exploded, during the night. I woke up and thought I had peed a little. I stood up and it was like someone poured a vase of water on the floor. Very dramatic! Once I got to the hospital, I was a hot mess. 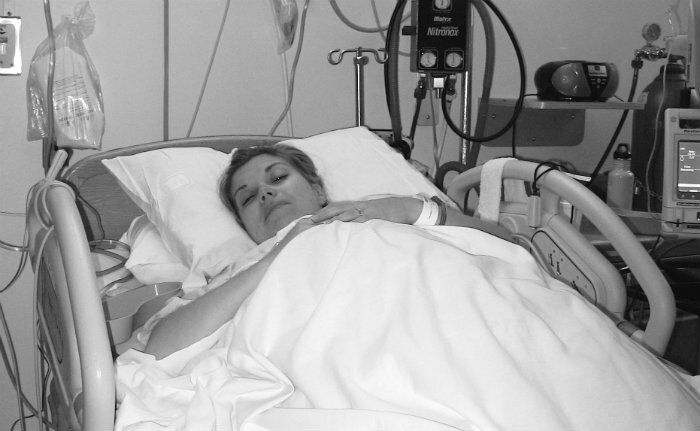 I couldn’t handle the pain of my contractions that were less than two minutes apart. I hadn’t prepared for what felt like someone was snapping my pelvis like a wishbone. I opted for the epidural, and although it helped, it was spotty and was too strong. I started vomiting and felt drunk. When I arrived at the hospital, I was 5 cm dilated and I quickly jumped to 10 cm within a couple of hours. With my second, I had just been recovering from having the flu. Although it felt like I had been pregnant forever, I needed a couple more day to rest. But one night I started cramping, (the exact time my water broke with my son). My pain was so all over the map that I kept brushing it off as nothing. I would try to sleep, then take a bath, then try to sleep again. Finally, my husband called my mom and said, “you better get over here, Joanna is in labor and she is in denial.” I think I was waiting for my water to break, like it had with my first. When my mother arrived, I was doubled over the counter. It was time to go. I was able to manage the pain more with my daughter, because I had prepared myself ahead of time. But because I was going to have an IV because I tested positive for Group Strep B Streptococcus Infection, I decided to opt for the epidural again. This time, I knew to get an anti-nauseant. 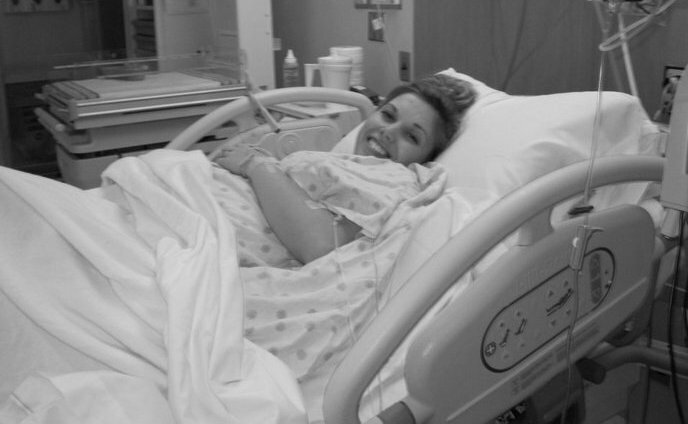 This epidural was bliss. In fact, my husband and I felt like we were on a date. Maybe that was because it was so rare we were away from our son. Like my first, I jumped from 5 to 10 cm within a couple hours. 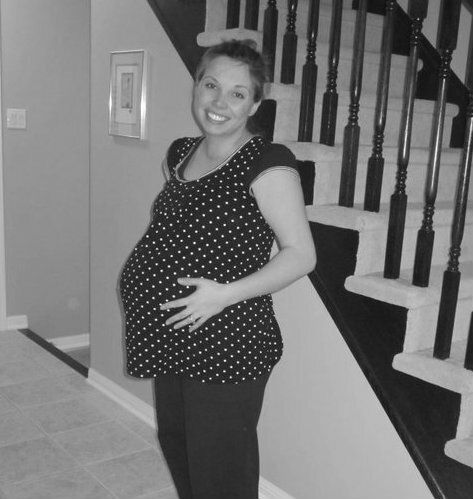 Caesarean section: The hours leading up to my scheduled C section were very different. There was no drama, no pain involved and no wondering “am I really in labor?” We left our house at 5 AM, to get prepped from my 8 AM C section. Tip: if you are getting a C section, try to get the earliest slot in the day possible. You will less likely be bumped. Once arriving at the hospital, I registered, changed into a hospital gown, got my IV and was groomed down below, (yes they do that). Eventually the nurses and doctors started arriving and introducing themselves. Keep in mind I was delivering twins, so there was probably more introductions involved than a singleton C section, including who was on team baby A and team baby B. My husband was waiting in his scrubs and finally a nurse ushered me in. I had been surprisingly calm up until this point. Yes, I had adrenaline flowing through me, but I was just ready to do this. It wasn’t until I walked into the operating room that I started to freak out. It was scary! It was then that it really sunk in that this was major surgery. I think the fact that everyone was in full scrubs and masks, plus that there were TWO warming beds, made the whole environment very surreal. I turned my panic inward and used every tactic I could to keep myself from falling apart. I had a great nurse stand in front of me while I got my epidural and chat and distract me. It was showtime. Vaginal birth: This is where my first two deliveries were eerily similar. I was in the bed, with my epidural and was told that I was 10 cm, but my baby was sunny side up, so we would hold on a little longer to let them turn. Remember that pelvis pain I felt? This explained it. Each of my babies did turn and within 15 minutes of pushing they arrived. I panicked a bit with my first before pushing. I got really scared. But I had decided to turn down my epidural so I could feel just enough pain to push effectively, and it worked. Knowing this, I chose to do the same thing with my daughter, which resulted in a short amount of pushing. With both of my vaginal deliveries I received only a couple of stitches. Very lucky! The entire experience was exciting and a bit of blur. I just held our son after he was born. He was all wrapped up and I didn’t think to ask to do skin to skin. I tried to breastfeed him and failed. I was in awe. With my daughter, I had skin to skin and breastfed her right away. It was such a simple and beautiful moment. Suddenly, a round faced baby was held up in the air. “She looks just like you!” My husband yelled. Seeing my daughter, twin A, snapped me out of my trance and reminded me why going through this was so worth it. Soon after, baby B was held up, looking exactly like my husband. They were here. I did it. 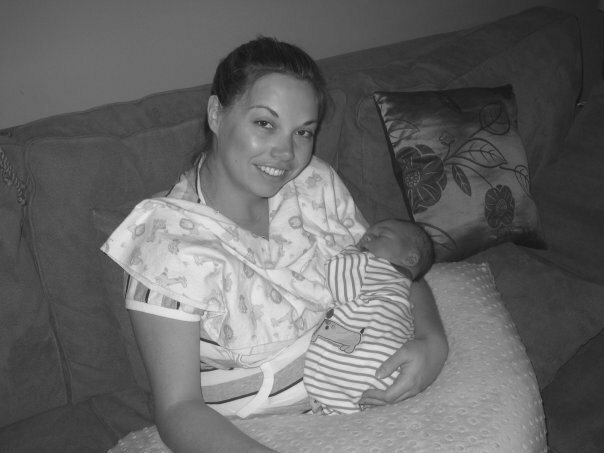 I was so in tune with every word spoken and every action taken at that point by the nurses, and was acutely aware of what was going on when my husband told me that baby B was having difficulty breathing and had to be rushed to the NICU. I sent him to be with her, while I focused on staying calm and watching my other baby being examined. The entire time this was going on, I was being stitched up, stapled and cleaned up. I still couldn’t feel a thing and can’t remember any of that process. 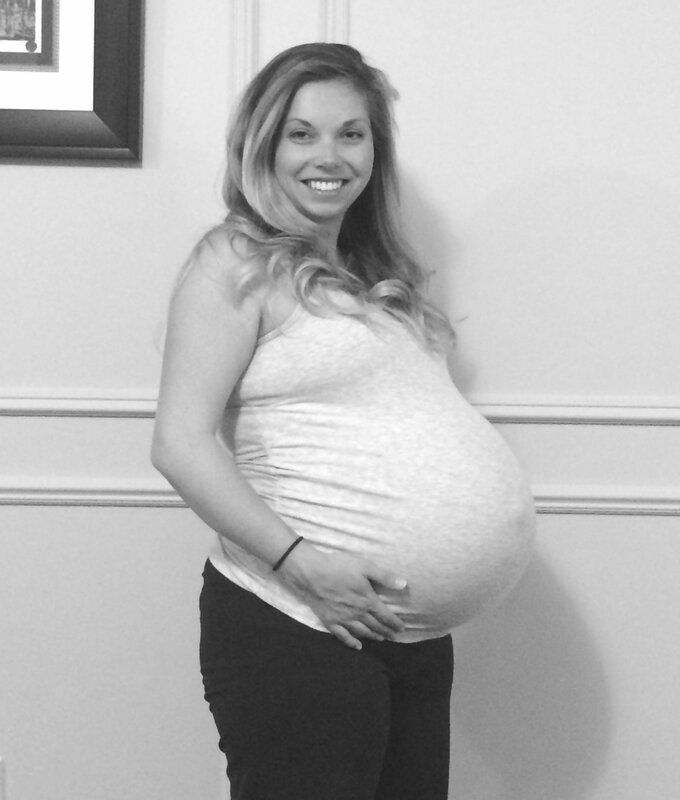 Vaginal birth: Almost immediately after having my son, visitors poured into my room and started passing him around. He was born on a Friday in June, which increased the number of visitors that came to the hospital. I was so excited to show him off, I didn’t think about the repercussions. I should have been focusing on the two of us, and trying to breastfeed. I do think that because I had had such an easy delivery, the nurses were very relaxed about visitors. I continued to push myself, walking around, and entertaining all of my guests. With my daughter, who was born on a Monday in February, I only got one immediate visitor, my father-in-law. Everyone was either working, or sick. My husband and I didn’t mind one bit. After mastering breastfeeding with her, I started getting nauseous. I passed my daughter to my husband and began vomiting. Finally after a few popsicles, I felt better. After an hour in the labor and delivery room, I was asked to walk to my shared room in the maternity ward. 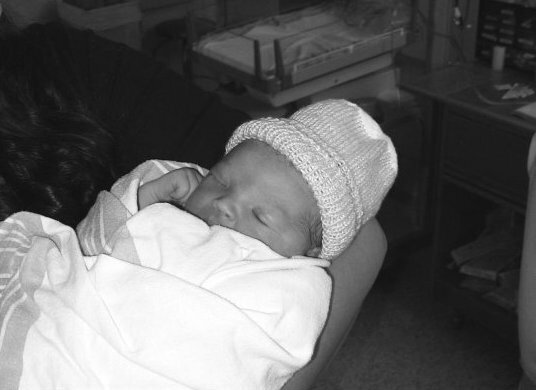 Caesarean section: After being wheeled out of the operating room and into recovery, I began shaking, and I couldn’t stop. The nurse passed baby A to me, and I clumsily held her and tried to breastfeed, but eventually passed her to my husband. Finally, baby B reunited with us, breathing well at this point and I stared at both girls in awe. Once the nurses had taken my blood pressure, I was given both babies and my hospital bed was pushed down the hall, through the waiting room, to my private room in the maternity ward. As I was pushed down the hall, I somewhat remember hearing squeals of “look twins” and seeing my mother-in-law’s excited face as she got a glimpse of her twin granddaughters. Once arriving in my room, my fantastic nurse made sure no one could come visit until my babies each laid skin to skin on me. The warmth finally stopped my shivering and shaking. This was the most incredible two hours. I was still so numb and was completely fine with laying in one spot. Finally visitors were allowed to trickle in, but to their disappointment, and my glee, they were only allowed to look, not hold my babies. 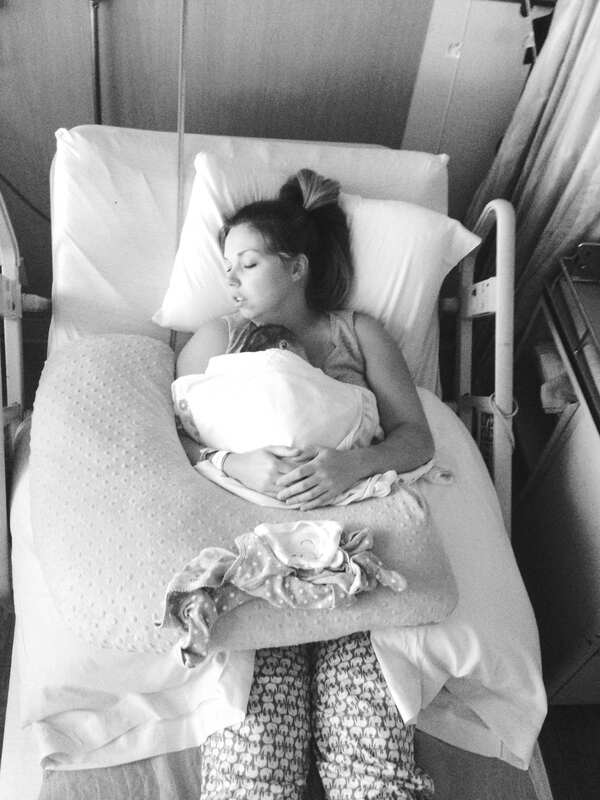 Vaginal birth: The first few days with my son were a mix of feeling excited and terrified. I had a terrible time getting him to latch, and shared are room with a mother who snored VERY loud. I was desperate to hit the 24 hours mark and head home, but he had to breastfeed successfully before we could be discharged. Finally by the 23rd hour, he latched and we left the hospital. I had my husband sleep the previous night in the fold out chair, while I laid awake staring at my baby the entire night. The days following were very stressful. I was trying to navigate motherhood and breastfeeding, my ankles swelled because I hadn’t put my feet up enough, we had busloads of visitors, and we weren’t sleeping at all because our son kept gagging, (he still had amniotic fluid in his lungs, a side-effect from coming out so fast and not enough pushes to get the fluid out). I melted down many times that first week, and it took me a long time to really find my rhythm. With my daughter, I had learned from my previous mistakes. I sent my husband home that night to get some rest, while I soaked up every bonding minute with my little girl. I mastered breastfeeding her, and was ready to go at the 24 hour mark, because my poor roommate had a baby who wouldn’t stop crying. Going home this time was a little different. I had a toddler as well and pretty much had to jump into everyday life. With both deliveries, my recovery was not bad at all. Caesarean section: I spent 5 days in the hospital with my twins. The extra two days were to keep an eye on baby B. I can honestly say, I had a great time during that hospital stay. I enjoyed having visitors, including friends who stayed and laughed with me while passing around babies way beyond visiting hours. I took advantage of all of the support I was given by the nursing staff, even mastering tandem breastfeeding. The biggest advantage of a C section, to me, was spending those first few scary days, in a hospital with help. By the time I was discharged, I knew each baby so well, and wasn’t scared. My pain was managed really well, and the biggest discomfort I experienced was trying to lay down while my organs moved back into place, (the most suffocating and bizarre pain I have ever felt). This, of course was more to do with having twins than having a C section. After being through each birthing scenario, I would say that each have their perks and their negatives. A C section is major surgery, and kind of scary, but there is definitely a lot more time to prepare for a C section, and a lot more care and attention given to your recovery after. A vaginal birth is a much faster, unpredictable and not as much attention is given to your recovery. You are sent off into the world, trying to recover, while figuring out your baby from day two on. Looking back on each birth, I can see how a series of circumstances impacted each outcome. My own preparation also had an affect, to a point. 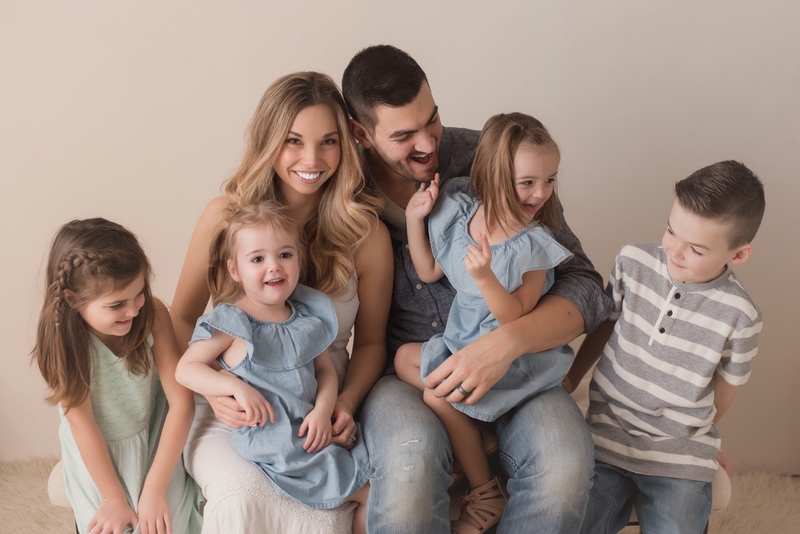 But I am so grateful that regardless of how my four babies arrived into this world, they were healthy, and I will cherish every memory for the rest of my life.